Vitamin C is an essential nutrient that is not stored in the body and must be replenished daily. 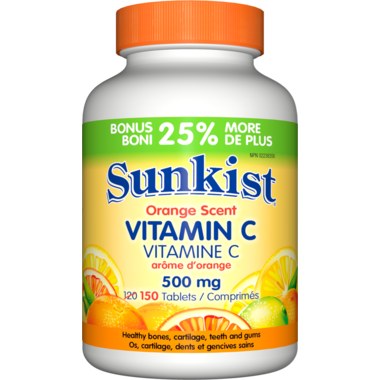 Sunkist Vitamin C supports immunity, wound repair, cholesterol balance, strong bones and teeth, and healthy gums. Sunkist easy-swallow Vitamin C is orange scented, naturally.